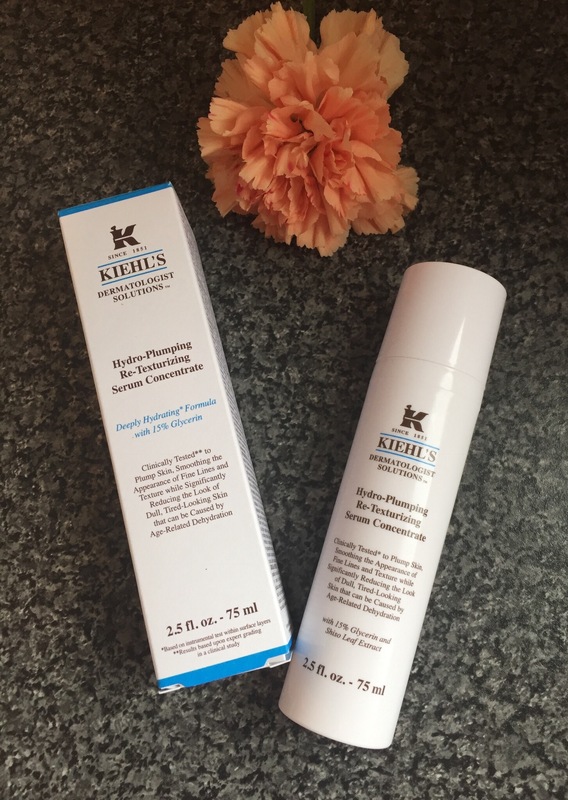 As I have said before I love a lot of the products from the Kiehl’s range (will be posting reviews on other products from their range v soon) and although the Hydro-Plumping Re-Texturizing Serum Concentrate was not a product that I initially noticed or thought I needed in my skincare routine, when one of the Kiehl’s consultants advised this might be a product that might help with my recent skincare concerns; skin looking slightly dull and tired looking due in part to lack of sleep, not drinking enough water, long periods in offices with air conditioning/heating, I decided I needed to try it properly, so just went ahead and purchased – I am so, so glad I did now. significantly reducing the look of dull, tired-looking skin. May also be used on the eye contour (which I personally think is fantastic as not many other serums can be used on this area as well). 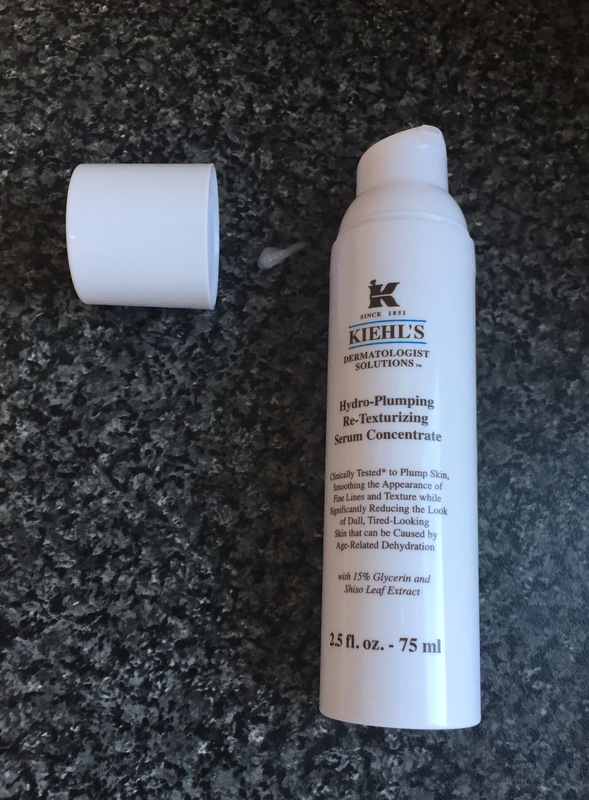 It comes in a 50 or 75 ml white hard plastic tall cylinder container with white push on cap and pump applicator which I always prefer and costs £41 for 50 ml & £54 for 75 ml– V practical packaging as is the case with all Kiehl’s products. I decided to go with the larger size as an offer was on and better value this way as well. The serum is a dull off white colour, creamy liquid consistency and has a v slight clinical type fragrance hard to say what it actually smells off but definitely not too over powering. Consistency is not what I would usually expect from a ‘serum’. I applied / apply one pump to clean skin both night and morning, including neck and eye contour area and was surprised how far one pump went, as once you apply it turns into more of liquid texture and spreads so easily, feels like you are giving your skin a drink of water with added benefits. It does not completely sink into the skin but is non greasy, just leaves your skin feeling and looking totally hydrated prior to even applying other serums/moisturisers. I usually leave for few minutes and then it is the perfect base, like a pre-skincare primer, for applying the rest of your skincare (including eye cream) and makeup. Oh my goodness I adore the way this serum makes my skin feel and look. I find my skin feels smooth to the touch, serum helps give my skin a boost, looks more revitalised, skin also does look plumper, fines lines do appear less noticeable and also helps my skin / makeup to look more refreshed throughout the day and even at the end of a tiring day. I also find when I apply at night under my Antipodes Face Divine Oil and any night-time moisturiser, my skin and around my eyes do appear more refreshed, slightly plumper & brighter in the morning even with little sleep. I also find even when you cleanse your face and apply this serum alone your skin feels totally hydrated, does not even feel that you need to apply any other skincare, although I do. I will definitely be repurchasing and I would recommend trying especially if you have similar concerns to what I had, prior to trying – however ask for a sample to try first before purchasing if you can, as sometimes they will have sample sachets in store but if not and if you have a small pot they will put some product in it for you from their tester. 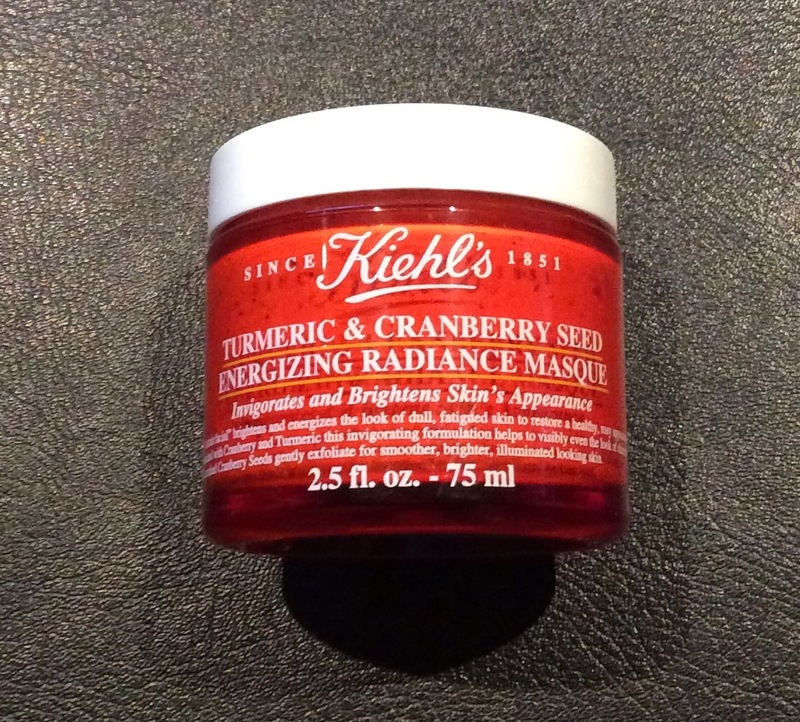 Kiehl’s – £41-£54 – where there always offers on with a set spend & you also get to choose 3 samples with any purchase. Look forward to any comments you may have. 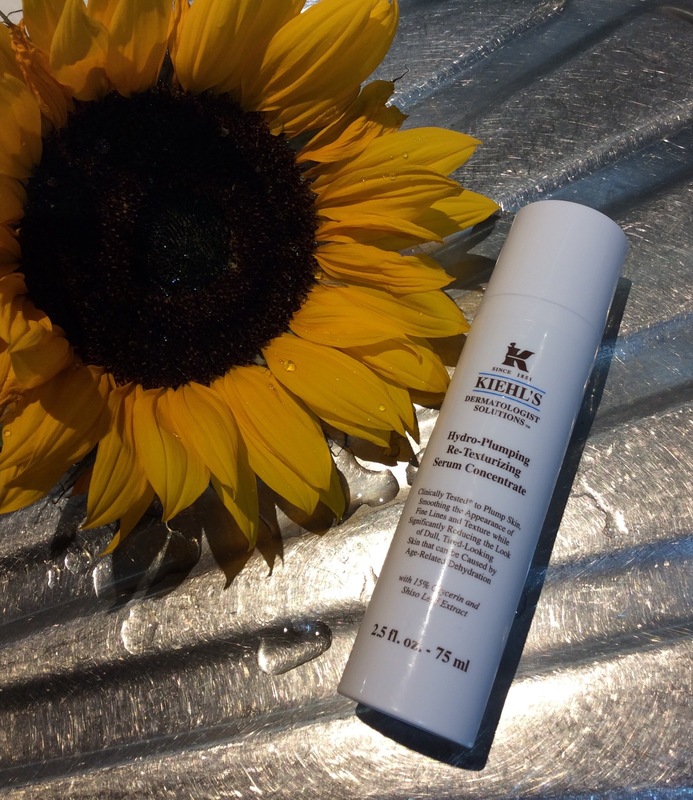 Have you tried this serum before and if so would love to know what you think – do you like it as much as me? That sounds wonderful and I will definitely try and get a sample when in town. Some serums don’t seem to be all that effective so you have given very good advice and I am keen to try it now. Have you spotted latestinbeautys new box. I love the show mousse, I can’t use any other now it’s fabulous. Thank you again for the very informative post, it’s extremely helpful and I appreciate it. It is almost the weekend and also it won’t be long until October now too. Thank you from Susie. Hi, Yes I am going to get this box. I am very impressed with this one and I will enjoy most of the products. It is important to look online for deals, you can save a lot of money and its vital to look around. Although the Advent Calendar is coming out in a week or so, oh its very difficult to decide when there are great boxes at the moment. I was not tempted by Powders Nars box, the items were awfully small and I thought it was quite expensive too. Have a lovely weekend, from Susie.